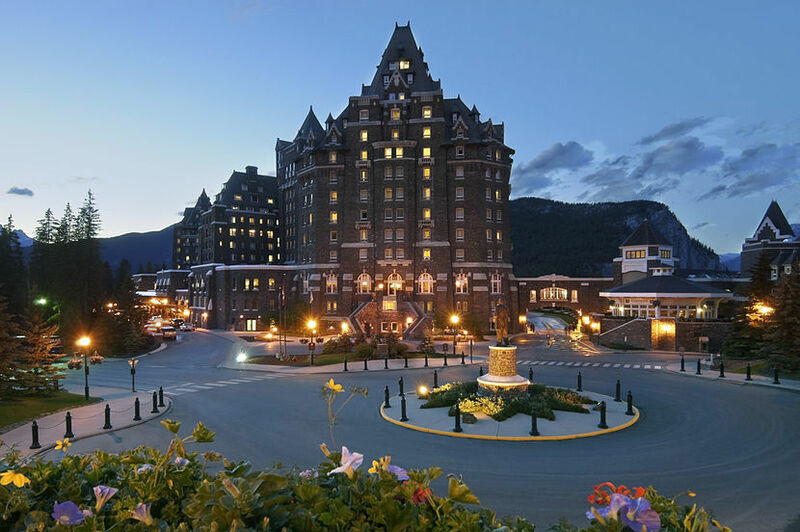 There is a wealth of activities to enjoy in the Fairmont Banff Springs hotel. 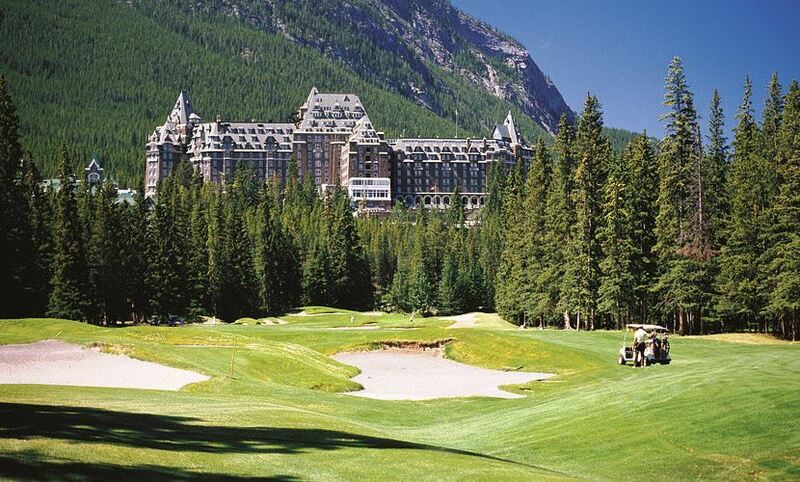 Some of these activities include horseback riding, river rafting, fishing, hiking, playing golf, skating, snow shoeing, dog sledding, and downhill and cross country skiing. 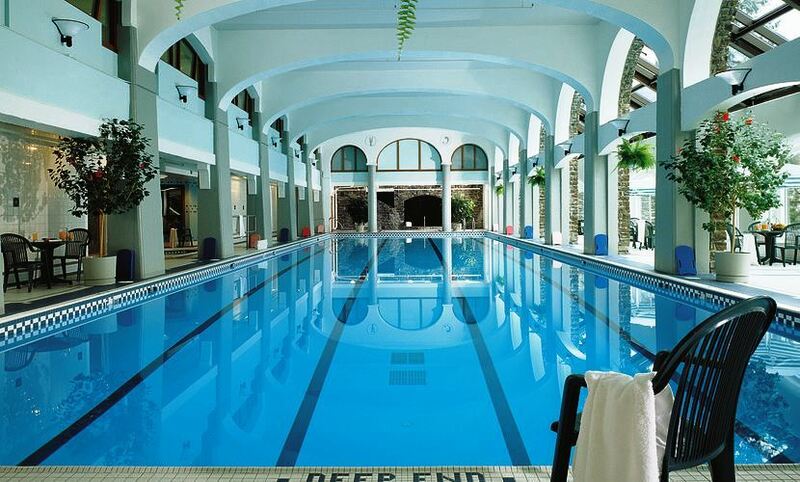 Have an unforgettable experience in the Willow Streams Spa within the facilities of the Fairmont Banff Springs hotel. Regardless of you’ve been from the outdoors or inside one of the 768 rooms of the hotel, you can immerse yourself at the spa and feel your mind, body and soul getting a relaxation. 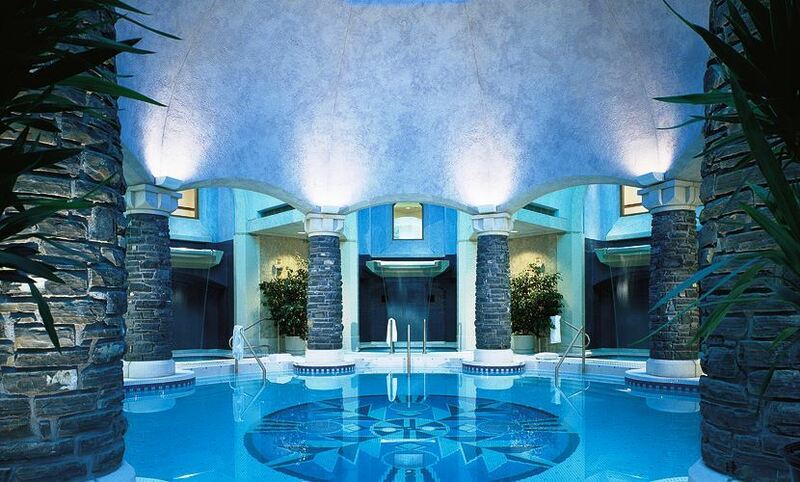 The spa at the resort is where you can sooth your troubled spirit and reinvigorate your tired muscles. 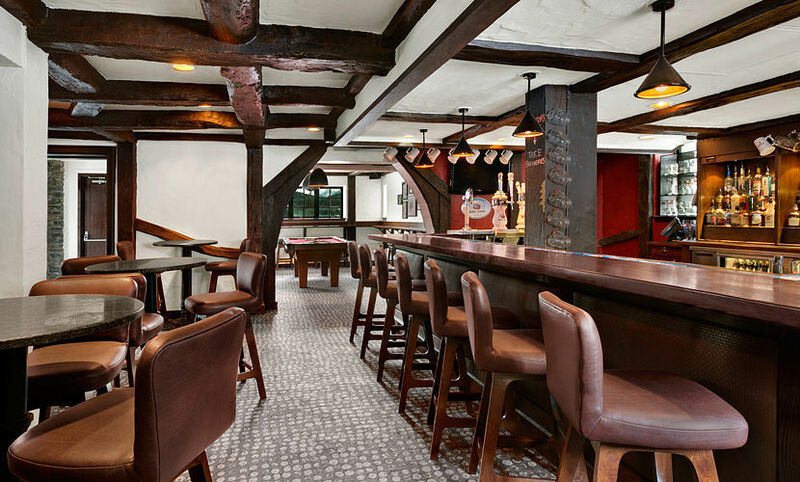 Fairmont Rooms are 19 sq. m., can fit in various bed types, and are ideal for individuals or couples. 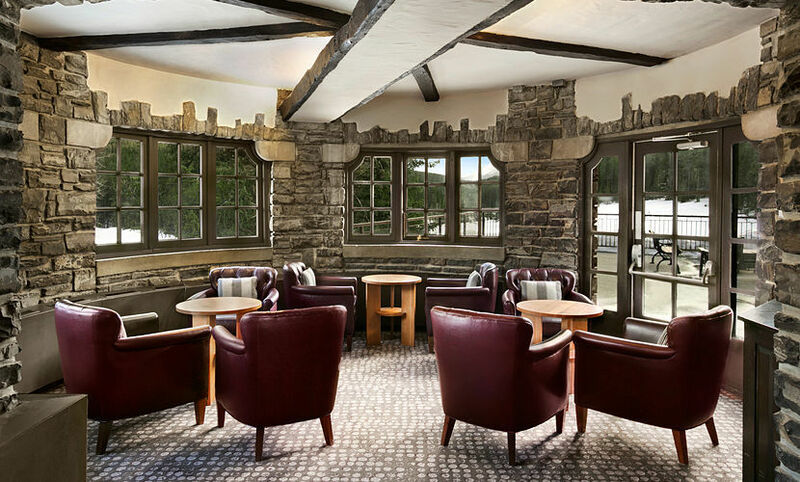 The rooms have a view of the woodlands and the courtyards. Fairmont Mountain View Rooms have the same size as Fairmont Rooms, and can accommodate various bed types. 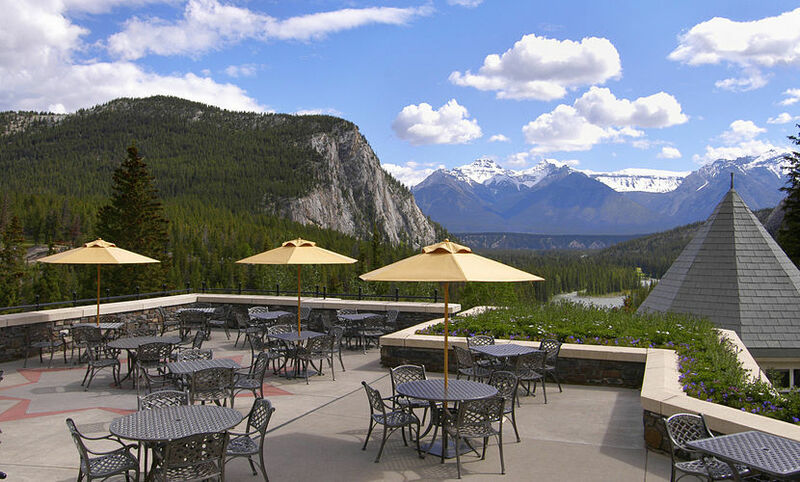 Enjoy the view of Bow Valley, Spray Valley or Tunnel Mountain while staying in this room. Deluxe Rooms are more spacious at 28 sq. 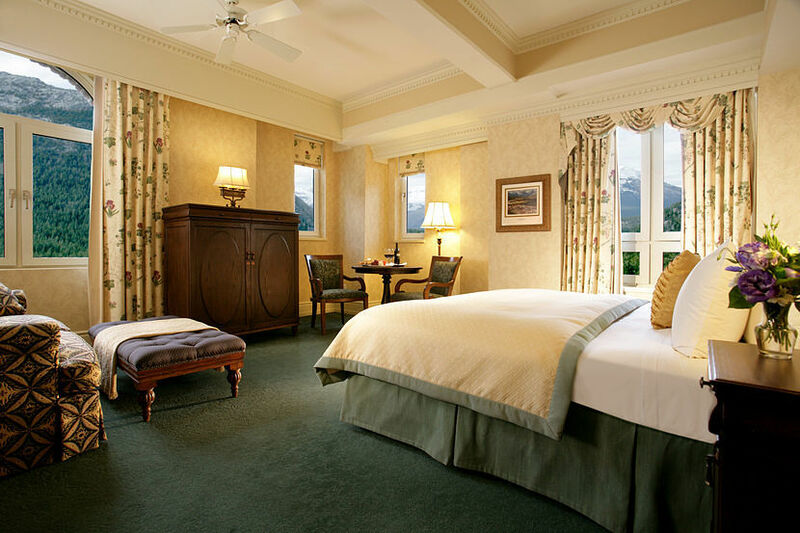 m., can accommodate 1 King, 1 Queen, or 2 Queen beds, and offer views of the woodlands and the courtyard. Deluxe Mountain View Rooms are also 28 sq. m. in size and can fit in various bed types. 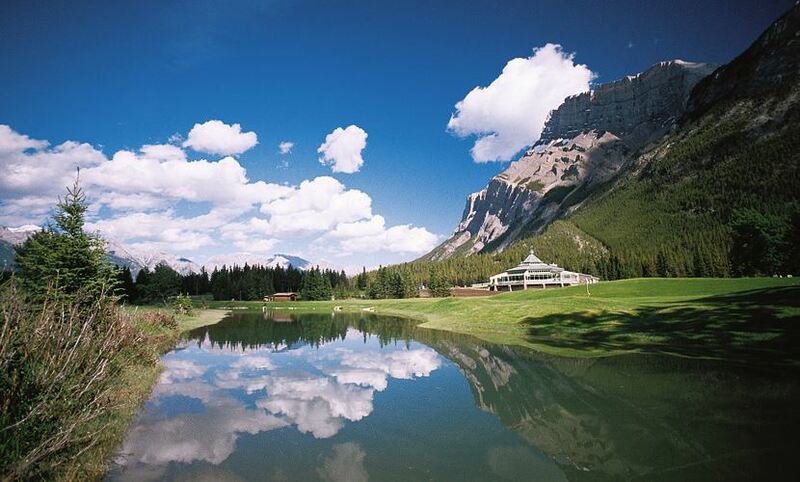 The views of the Spray Valley, Bow Valley, or Tunnel Mountain are offered. 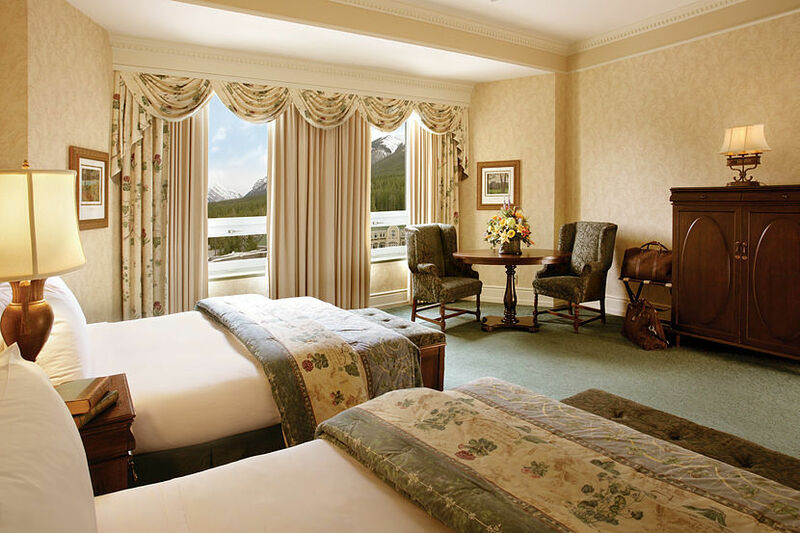 Stanley Thompson Deluxe Rooms and Stanley Thompson Deluxe Mountain View Rooms are 28 sq. m. and 33 sq. m. respectively. The names were given in honor of Arch. Stanley Thompson, who designed the championship golf course of the resort. Signature Mountain View Rooms measure 28 sq. m. and provide views of the Bow Valley and Fairholm mountain range. Junior Mountain View Suites are sized at 33 sq. m and has one King bed. 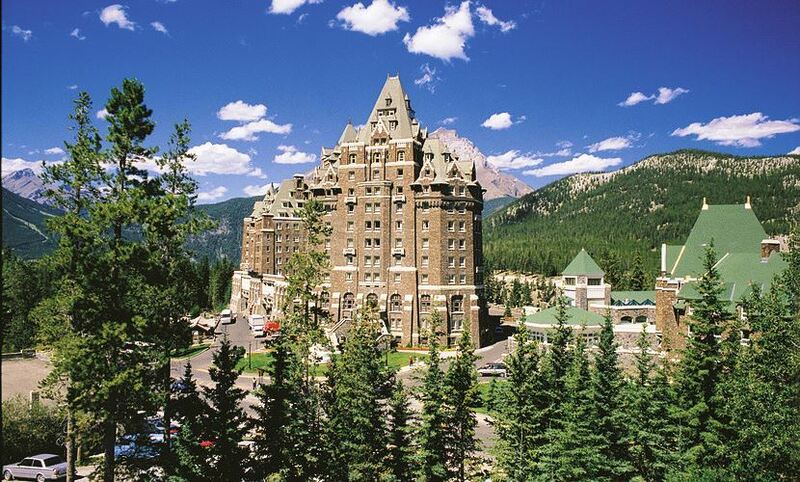 It offers Bow Valley and Fairholm mountain range views. Junior Suite (Turret) has 58 sq. m. of space and fits in 1 Queen bed. 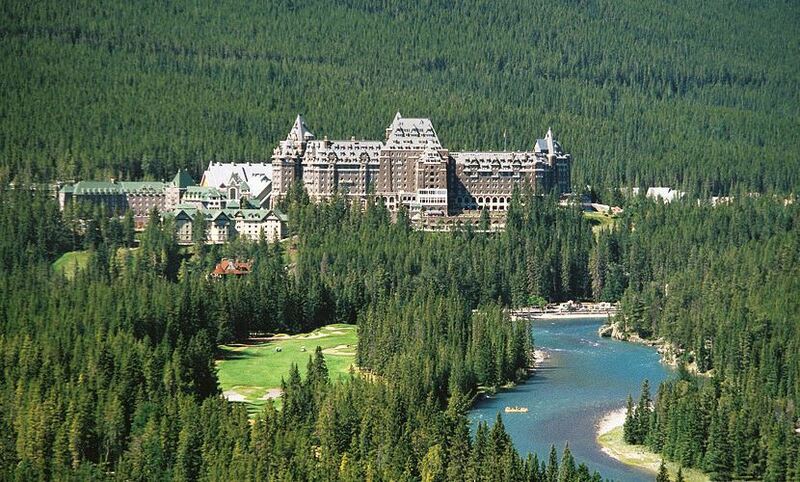 Spiral stair case will bring you to a private bedroom with views of the forests and Banff National Park. 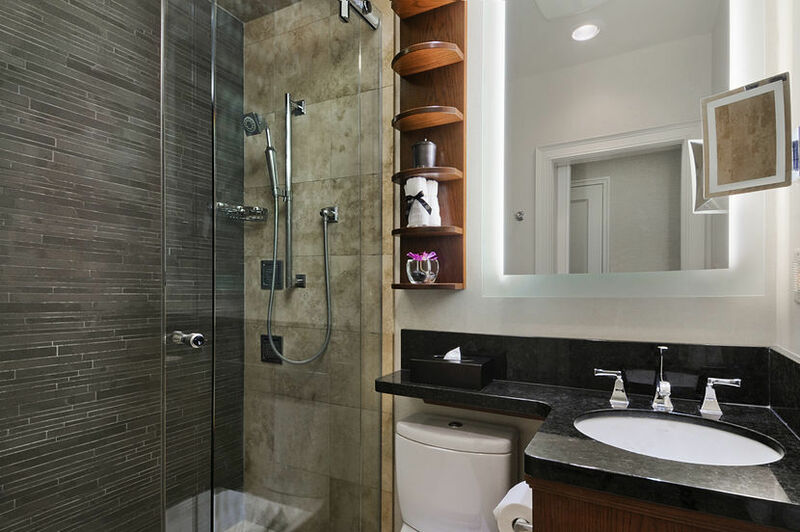 Junior Suite (Jacuzzi) has 46 sq. 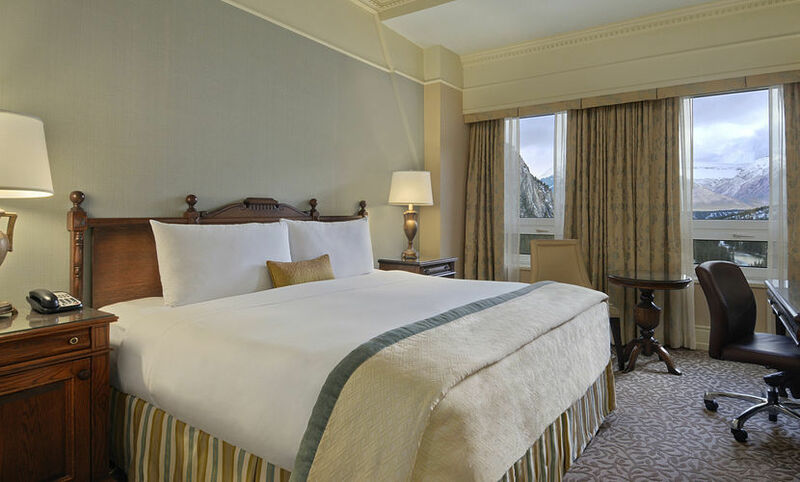 m., can accommodate 1 King bed and offers view of the Bow Valley. It has a large jacuzzi tub. Stanley Thompson Suites is 37 sq. m. and can fit in various types of beds. Stanley Thompson Mountain View Suites is 37 sq. m. and can fit in various types of beds. One Bedroom and Two Bedroom Suites are 56 sq. m. and 79 sq. m. respectively. Both have spacious living rooms with private entrances. The Royal Suite is 139 sq. m. and was designed for special occasions such as visits by dignitaries and royalties. Features include reception foyer, grand piano, spacious living area, library, powder room, chandeliers, multiple windows and panoramic views. 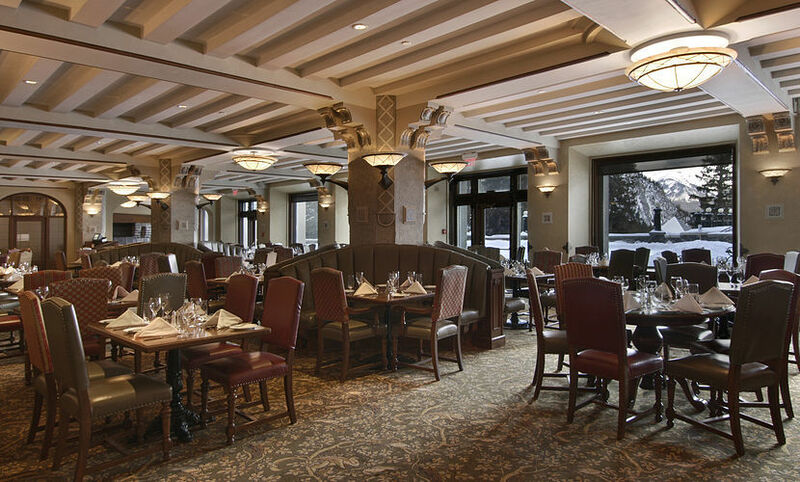 Castello Ristorante serves Italian meals which are showcased with appetizers, handmade pasta, and ultra thin pizza. Samurai Sushi Bar and Restaurant serves Japanese cuisine.